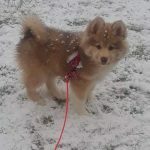 Visit the Foxy Pomsky Facebook to view available litters. 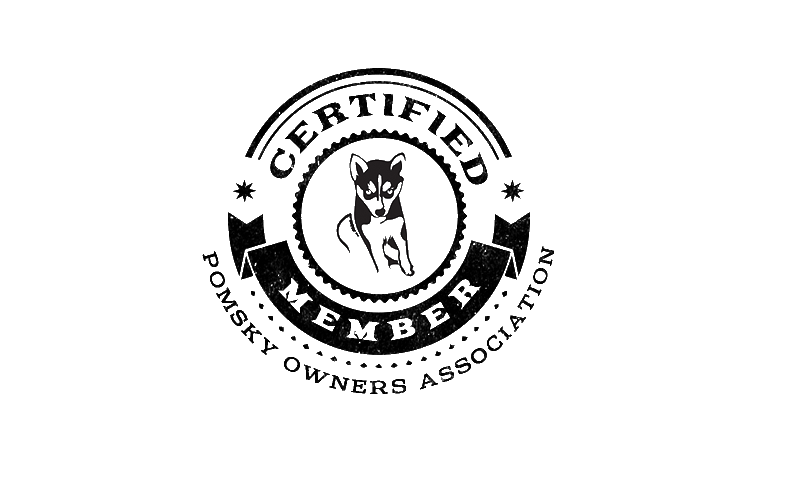 For a direct inquiry, you can contact Foxy Pomsky by email at foxypomsky@gmail.com or phone at (503) 396-9737. 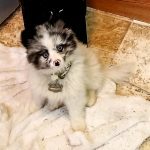 Foxy Pomskyrange from $1,000- $2,500. Shipping is available for $400. Absolutely amazing! Beautiful pups! All around great! Couldn't be happier with the whole experience. Sarah is always super helpful and supportive! She stays in touch and really cares about her dogs and the puppies! Thank you for such a great companion/fur baby! I'm so glad I made the choice to get another puppy, and I'm so glad I went through Sarah, a reputable and professional breeder to do so. 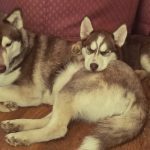 She made the process simple and easy, and she truly cares about all of the puppies! 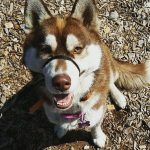 Sarah still keeps in touch, asks for updates and pictures, and answers any questions I have regarding ANYTHING (obedience, food, ect.). 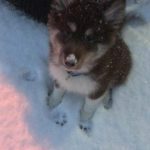 She shared the results of DNA testing that showed the genetic make up of momma dog, so I could try to guess how my pup would look. The puppies change drastically in looks (in a good way) in a very short amount of time. Bringing my pomsky home was an easy, stress free process due to Sarah's professionalism and insight. I would, (and do!) 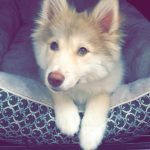 recommend her to anybody, and I cannot wait for the next litter to be born because my fiance and I have already decided on getting another!